As far as steroids are concerned, the king of them is testosterone. It’s not only endogenously produced inside of the body (that’s a fancy way of saying naturally made) but it is also produced in other parts of the body as well. That makes it extremely important to keep in mind because it is something that is naturally beneficial and worthwhile to supplement. 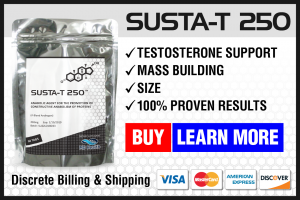 If you’re someone that is skeptical as far as using a steroid for long-term use, you might want to consider testosterone, especially the propionate version of it due to its effectiveness for long durations as a highly bioavailable steroid. It not only provides a high level of focus and aggression with standard dosages, but it is also relatively lax as far as side effects are concerned, but be aware, side effects do exist and should be noted. 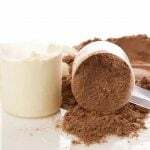 For one, because the body is so well-adjusted to testosterone, it should be noted that when it comes to the propionate version of it, it is one of the most studied steroids in the entire world. It was one of the first steroids synthesized for exogenous use of something endogenously produced, so because of that alone, the world of science and sport is well-aware of just how effective testosterone can be in the long term. It’s definitely something you should value if you’re looking to enhance your capability as a sportsman or simply someone looking to take their recovery efforts to the next level. It makes testosterone a worthwhile supplement to try. The reason for this is due to the fact the “blueprint” that composes testosterone is something the human body is already fairly accustomed with. In comparison to other kinds of blueprints or formulas, it is something that is otherwise not able to withstand the full payload that one might expect from a typical dosage. Aside from that, the benefits of testosterone and the comparatively low side effects are great when you juxtapose testosterone with another sort of compound like trenbolone or something similarly toxic and damaging. When it comes to steroids, undoubtedly the side effects that scare people the most are those related to estrogen and its side effects. This is very common when you consider the fact that as a man, the primary reason you have masculine features is due to higher levels of testosterone in comparison to estrogen. For women, the inverse is true. This is very important to understand because whenever you dose with an exogenous compound, you’re going to throw your hormone levels out of whack. This means that whenever you do engage in using one of these compounds, you have to understand that whenever you introduce higher levels of androgenic (testosterone producing compounds) compounds, these are going to result in feedback levels of estrogen in response. This is very important to keep in mind because otherwise, you will be unable to stave off the bad effects that you would otherwise experience from the compound. One of the most popular reactions that one can have when injecting testosterone is the typical estrogenic side effects that you would get with any androgen. The primary one that most people are afraid of is gynecomastia. It’s a very common symptom in men as a result of the estrogenic imbalance, and while it is more popularly seen in boys that reach puberty, it is actually present in men of adult age as well, especially when they abuse or misuse androgenic compounds. But aside from gyno, it is also possible to develop symptoms similar to those in women who have very high estrogenic activity. This would include bloating, increased variance in emotional capacity (i.e. getting emotionally loud, demonstratively upset more often, a whole host of other problems). These are very important to note because without keeping an eye on them you would be unable to discern between emotion or the next. This is primarily why it’s so important to monitor your symptoms because if they get really out of control, it may be too late to stop them. Thankfully, if you do encounter estrogenic activity, you should keep either an aromatase inhibitor (AI) or a SERM on hand. An AI will help reduce your serum estrogen levels, which is important if you want to actually reduce how much estrogen you have in your body. With a SERM, it serves as a way of blocking testosterone from binding to the enzyme that converts the testosterone into estrogen. If you can block it, you’ll prevent estrogenic effects, but you may not be able to stop other kinds of side effects from happening either. This is why it’s so important to understand the effects of both and know what to use when you want to prevent certain side effects. If you don’t want gyno, a SERM will do wonders in blocking the test from being able to bind to the enzyme. But if you want to reduce serum estrogen, again, you’ll need an AI. Remember, just as testosterone binds to the body and creates estrogenic effects, it also produces androgenic effects as well. These would otherwise be known as effects that can cause a series of male-oriented effects to take place. This is primarily why when people take testosterone, there are stereotypical side effects that are often used mockingly. For one, the fact that many men with high test tend to go bald is no coincidence. Just as it binds to the aromatase enzyme producing estrogenic effects, testosterone also binds to the 5-alpha-reductase enzyme and produces DHT (dihydrotestosterone) as a side effect. DHT is great for tremendous strength gains and power, but it’s really bad if you want a full head of hair. This is because when DHT is produced, it forms in specific areas of the body, primarily the scalp, prostate, and skin, thereby causing various side effects when the bind occurs. In the scalp, it can trigger male pattern baldness, something that is very commonly seen in men that have the genetic trait for baldness already built-in. This is important to note because if these kinds of side effects are dealbreakers for you, then you definitely need to consider an alternative method of getting stronger from exogenous compounds. Otherwise, you’ll really have to rethink what you’re using as a supplement. However, just like you have options in combatting the kinds of issues you face when it comes to estrogenic compounds, you have options when it comes to dealing with DHT. It’s very important to understand that when you do want to stop DHT conversion, you will still have a high likelihood of running into androgenic side effects since the androgenic effects of testosterone are so potent. For one, you can use compounds like Proscar or Dutasteride to combat the androgenic effects commonly found in DHT. Aside from male pattern baldness, oily skin, irritation, enlarged prostate, and acne are also the side effects one can experience with DHT. Very similar to the estrogenic compounds, the side effects mimic those ones you might experience had you ever dealt with the unsightly consequences of puberty as a boy. When it comes to the use of any exogenous compound, you have to understand that you’re putting your body at risk. Whether you’re doing it for curiosity, bodybuilding, sports performance, or to enhance your quality of life, you have to be aware that whenever you choose to use an androgenic compound like testosterone, you have to be very thorough with how you use it, and especially, with how you stop using it. This may sound counter-intuitive, but this is why you need to be aware of the side effects when using any testosterone producing drug. One of the most important side effects you have to be aware of is the concept of the shutdown. A shutdown is what happens whenever you introduce a very powerful androgenic compound to your body. What happens is your body reads the introduction of the substance as it no longer having a need to produce testosterone. It then, as the name suggests, shuts down its testosterone production and instead allows you to inject yourself with the exogenous hormone. This can work for very short durations, such as if you’re running a very strong blast cycle of a steroid, but over a long period of time, this is not sustainable. What happens is your body can undergo a very troublesome period called hypogonadism, wherein the body stops producing testosterone naturally. For the long term, this can be a devastating consequence, so instead of having to deal with this, you need to be responsible with how you use compounds. When you’re done with your cycle, you have to do what’s known as PCT, or post-cycle therapy. This means you’ll have to use an AI to reduce the estrogen levels in your body, and you’ll also want to make sure you’re taking HCG, which is a naturally produced hormone that stimulates your testes to produce testosterone. Should you fail to follow this advice, you very well could be taking TRT ( testosterone replacement therapy) level doses for life in order to recalibrate your testosterone production. However, it is very rare that this happens unless horrific abuse of androgenic compounds takes place. Should you be adept in terms of swiftly engaging in using an AI and compound to restimulate production, you won’t have to worry about anything whatsoever. Aside from the typical side effects that can more or less be a matter of inconvenience, you have to be aware of the fact that any use of androgenic compounds can also be harmful to your liver health. 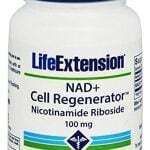 The cells in your liver are the cells in your body that take the longest to regenerate, meaning that if you do permanent damage to these cells, your liver may have to be transplanted. This is a very extreme example, but it can happen if you do not exercise care with your liver. Rather than letting that happen, it’s very important to understand that any sort of androgen will cause some toxicity and put stress on the lymphatic system to clean everything out. 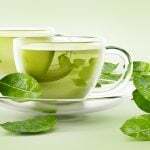 However, it should be stressed that androgens CAN be harmful to your liver and may not be depending on what you use. In the case of test prop, you do not have to worry about liver toxicity whatsoever. 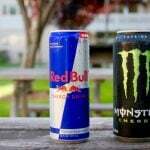 For one, if you were injecting the substance, you would bypass the liver altogether. When you do ingest something orally, the substance passes through the liver to be “checked” by the system internally. What it is doing is ensuring that whatever you’ve ingested is properly synthesized and analyzed from within, and once that’s accomplished, the determination is made whether or not it’s a healthy substance that is fit to absorb. After numerous studies showing considerably high oral doses of test prop, it’s been shown that the substance is not at all hepatotoxic, in other words, it is something that is fit to be taken without fear of any liver toxicity. It should be noted that with any androgenic compound that you use, it is possible to see a shift in your cholesterol levels. It can also affect your blood pressure. However, it should be noted that the primary reason for this effect is correlated with the feedback that you can see with estrogen levels dropping. Estrogen, as much as bad rep as it tends to get, is very important to you for ensuring you have proper cardiovascular levels. With it in place, you have to understand that your cardiovascular system will be in check. That’s why it’s very important that you don’t completely murder your estrogen levels with an AI. Rather than totally trying to phase out the estrogen in your system, consider a smaller dose to reduce it slightly, this will ensure that you can properly engage in using the androgen without compromising your cardiovascular health. However, by maintaining a good diet and promoting cardiovascular exercise, you can stave off the typical negative effects you would get in terms of cardiovascular health. Testosterone Propionate should be administered frequently due to its short half-life. This short acting testosterone variant is injected intra-muscularly deep into the muscle using a minimum 5”8 or 1 inch sterile needle. Its important that care is taken when injected IM. Sterility is important, new needles, barrels and syringes must be used an alcohol swabs. For low testosterone treatment, doses of 50mg are used three times per week or every other day (EOD). 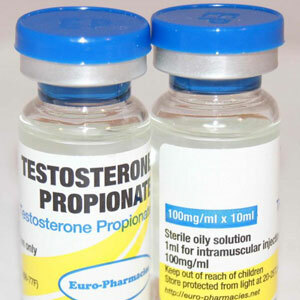 However, Testosterone Propionate is not a common use for hypogonadism due to the high amount of regular injections. Endocrinologists tend to lean towards longer estered Testosterone compounds such as, Testosterone Enanthate and Testosterone Cypionate as they’re administered twice per week or weekly in doses of 100-150mg for low testosterone treatment. For performance enhancing, Testosterone Propionate is injected 50-100mg every other day, or in larger doses if the athletes or bodybuilder is more experienced. As a base of a steroidal cycle, Testosterone Propionate can be used to replace endogenous testosterone, or as a performance enhancer itself. As a performance enhancing drug (PED), 100mg every day is suggested in combination with an AI or SERM to control estrogenic side effects. Aromasin at 25mg every day or Arimidex 1mg every other day would be advised to keep estrogen levels in normal ranges. 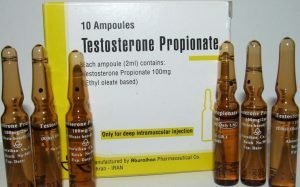 Testosterone Propionate can be stacked with 17aa oral anabolic steroids such as, Dianabol, Winstrol and Anavar (Oxandrolone). 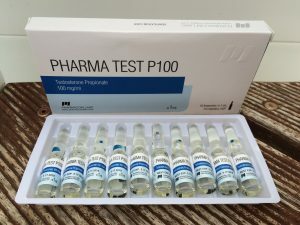 This exogenous testosterone injectable could also be used synergistically with Trenbolone Acetate, NPP or other short acting anabolic steroids like Winstrol Depot. Many buy Testosterone Propionate online as it’s a common injectable anabolic steroid offered by online sources and gym suppliers. 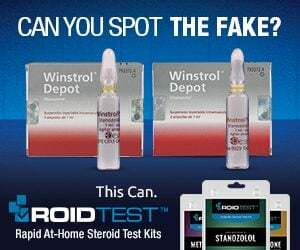 Internet steroid sources usually offer Test Prop in a number of different brands. 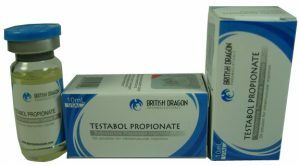 Testosterone Propionate is notoriously known for being a painful injection, but this was made famous when British Dragon’s 100mg/ml 10ml vial came out with many steroid users complaining about its painful post injection pain. 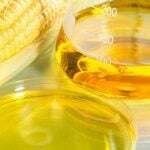 Underground labs (UGLs) now make this compound with ethyl oleate (EO) making it a painless injection procedure. The risks associate with buying Testosterone Propionate are numerous. Firstly, you could get scammed by an online supplier. They could take your cash via Western Union (or any money transfer service) and then not send your purchased product. Secondly, and more importantly, Testosterone Propionate is a Schedule III controlled substance. Possession and trafficking carry prison terms an unlimited fines. You must have a valid prescription to use Testosterone Propionate in the United States. Miescher, Wettstein & Tschopp (1936) Schweiz. Med.Wschr. 66, 310.